Devil May Cry has become one of Capcom's greatest series since the first game appeared a few years back. The second game in the series was a slight disappointment to most people as it was more of a continuation than a sequel. 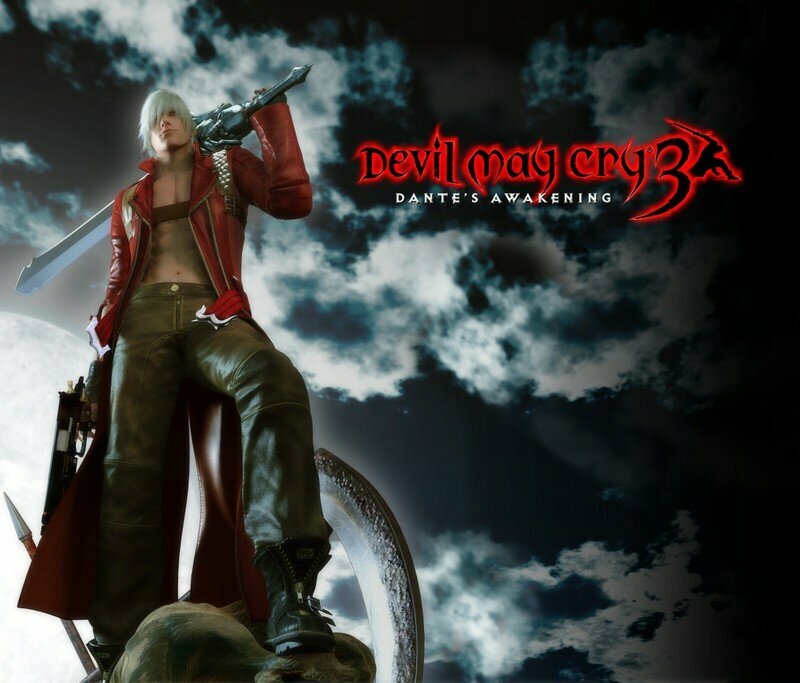 Now Dante makes a return in Devil May Cry 3, the story goes way back to the early days before the first game and sees Dante and his twin brother go head to head. Devil May Cry 3 is sure to provide plenty of fast action with its new combat system and a decent story, but be warned this instalment is much more difficult than any other Devil May Cry game that has gone before it. One of the big new aspects of Devil May Cry 3 is the fighting system which allows you to pick one of four different fighting techniques. Although these styles don't completely change the game play they do enable you to take a different approach to various sections of the game. However switching between fighting styles isn't always the best way to go as you will earn experience points for each fighting style, with this in mind, it can pay to concentrate on the same style for a while. The default fighting style is Trickster which lets you dodge enemy attacks. This is certainly the best style to use when you first start out in the game, although it doesn't sound as good or as attacking as some of the other styles it certainly helps you get the job done in the super harsh environments in Devil May Cry 3. Each of the fighting styles has its own special move which can be used by the press of one button. The Trickster style lets you pull of an invincible dash in any direction which can be a huge help. Sword Master is a fighting style which makes use of Dante's blade for close up fighting. Gunslinger is a style that will let you blow away enemies from a reasonable distance with Dante's gun. Finally there is the Royal Guard style which will enable Dante to use hand to hand combat and heavily guard himself against strong enemy attacks. Another great addition to Devil May Cry 3 is the ability to switch between weapons during the game. You can equip Dante with up to four different weapons which all can be switched at the press of a button. There are five different guns and swords plus a few surprise weapons that can be acquired later on in the game. The ability to change the sword or gun you are using at the press of a button is a great help and it will also make for some spectacular combos. All these additions are very welcome especially when you first start playing Devil May Cry 3 as the difficulty level is very high, and the learning curve is extreme. When you first start out you will die a frequently and some players could get so disheartened that they will actually give up and never play Devil May Cry 3 ever again. If you stick with it you will be in for a couple of hours of tortuous game play. When you play a game that is this difficult you tend to find excuses and start blaming different aspects of the game. You will find that there is nothing actually wrong with the game nothing will hinder your progress except your skill level and the extreme learning curve. The secret is to use extreme caution and don't go in all guns blazing, take your time, dodge the enemies and pick them off one by one. Once you get past the brutal first stages of Devil May Cry 3 you will find everything seems to fall into place and things become clearer as a result you will have got the hang of the combat system, learnt the does and don'ts for each fighting style and the controls will feel precise. The number of tactics and methods you can use to make progress through the game are almost endless and the action will never get boring. Devil May Cry 3 has a currency system which consists of orbs. You can use orbs to buy other orbs which will be very useful along the way. For example some orbs will restore you health, but far more useful is the yellow orb which will let you restart a failed mission from somewhere near where you died. So you don't have to go right back to the beginning of the entire mission should you die. You can also use currency to upgrade your attacks and increase your fighting style experience. Devil May Cry 3 looks great and this can be seen best in the great animations that have been given to Dante to make him look highly stylised. The game runs at a good rate of knots, you shouldn't see a glitch in the frame rate even when you are in some of the more spectacular environments. As before the music is always heavy and manages to emphasise the gothic theme of the visuals. As before the weapon sound effects are very good as are all the sound effects. The voice acting is good quality and certainly better than most games which make the jump from Japanese to English. If you stick with Devil May Cry 3 and get past the initial brick wall that lies in front of you, you will open up a game that has much to reward. The combat system is a real bonus and combos are usually only limited by your own imagination. The problem with recommending a game like this, it all depends on the skill and patience of the person who is going to buy it. It is a game that only determined seasoned gamers should buy, everyone else will probably play for an hour or so and find they are not getting anywhere and give it up as a bad job. If you are up to the challenge Devil May Cry 3 will not disappoint, it's a truly great game and definitely the best in the series.